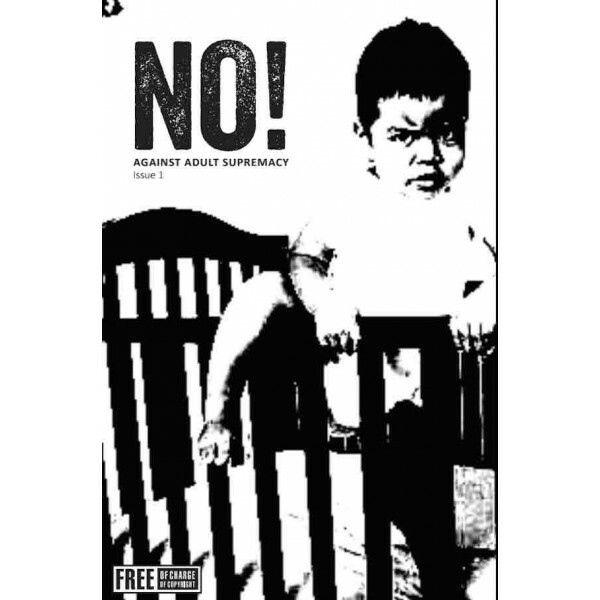 A collection of articles and artwork from the zine of the same name, No! Against Adult Supremacy covering all kinds of subjects. experience, benevolence, and familial obligation are the first of many paraded through our lives to celebrate the suppression of our agency, the dismissal of our desires, the reduction of our personhood. Our whole world is caught in a cycle of abuse, largely unexamined and unnamed. And at its root lies our dehumanisation of children. Intellectual property is a legally fabricated monopoly, confining culture and science, and violently depriving the poorest and most marginalised from access to critical resources. The fictions of copyright and patent are despotic attempts to monopolise the mind; outrageous constraints on intelligence and creativity; and a destructive protectionist scheme for the profit of power. stays true to the spirit of the original project. We encourage the reader to pass this book on to a friend once they’ve finished with it.